International outcry was swift and furious ahead of speech expected at lunchtime in the U.S.
America's friends and foes unleashed fierce criticism on Wednesday ahead of Donald Trump's announcement recognizing Jerusalem as Israel's capital which is expected at 1:00 p.m. Wednesday. But Trump is sticking to his guns, calling his decision an act of political courage. A senior administration official said Tuesday that the president would also launch a long process of moving America's embassy there from Tel Aviv. 'The president believes this is a recognition of reality,' the official said. While Israel welcomed the news, Palestinian officials declared the Mideast peace process 'finished' and Turkey announced it would host a meeting of Islamic nations next week to give Muslim countries' leaders an opportunity to coordinate a response. 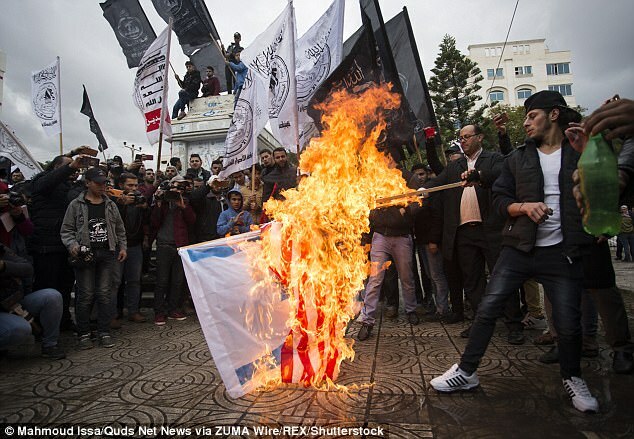 In Gaza, U.S. and Israeli flags were burned and in the West bank Hamas declared Friday a 'day of rage,' raising the specter of mass violence in the occupied territories. 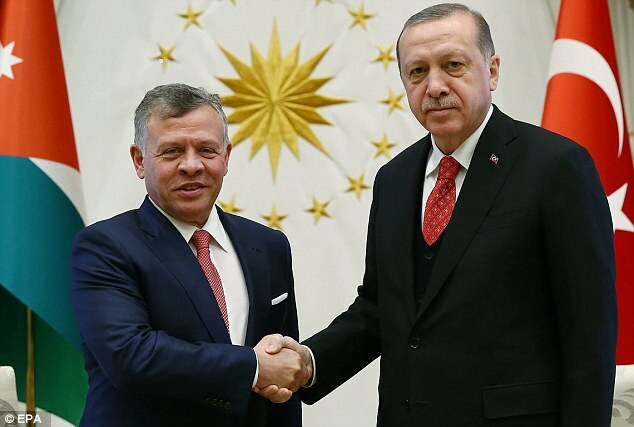 More opprobrium: Turkey's president Recey Tayyip Erdogan, who met King Abdullah of Jordan on Tuesday, had called the move on Jerusalem a 'red line'. His spokesman on Wednesday said it was a 'grave mistake that will virtually eliminate the fragile Middle East peace process'. Israeli security forces braced for violence but said so far the situation was peaceful. The Pope made a plea for Trump to rethink urgently and spoke out at his weekly general audience in Rome . 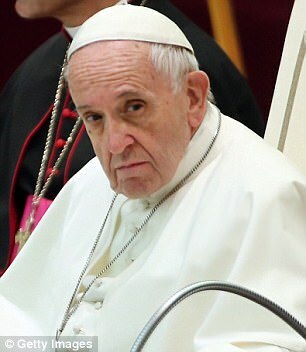 'I make a heartfelt appeal so that all commit themselves to respecting the status quo of the city, in conformity with the pertinent resolutions of the United Nations,' Pope Francis said. In the UK Prime Minister Theresa May said she would challenge the country's closest ally. 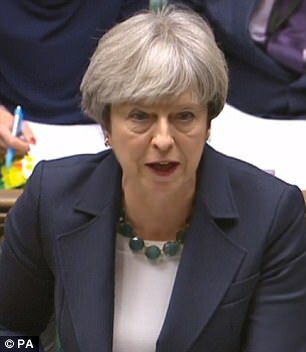 'I'm intending to speak to President Trump about this matter,' May told MPs. 'Our position has not changed, it has been a long standing one and it is also a very clear one. Trump would effectively be making a declaration of war, the Palestinians' chief representative to Britain said Wednesday. 'If he says what he is intending to say about Jerusalem being the capital of Israel, it means a kiss of death to the two-state solution,' Manuel Hassassian said in a BBC radio interview. 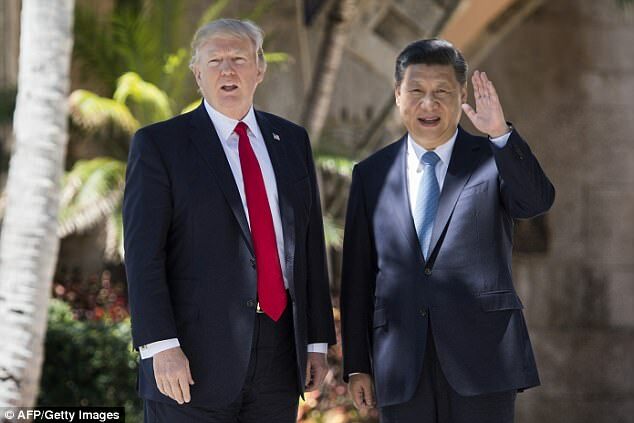 'He is declaring war in the Middle East, he is declaring war against 1.5 billion Muslims [and] hundreds of millions of Christians that are not going to accept the holy shrines to be totally under the hegemony of Israel,' Hassassian added. The Palestinians seek east Jerusalem as the capital of a future independent state and fear that Trump's declaration essentially imposes on them a disastrous solution for one of the core issues in the Israeli-Palestinian conflict. The U.S. decision 'destroys the peace process,' added Palestinian Prime Minister Rami Hamdallah. Top Palestinian officials were meeting Wednesday to plot their course forward. U.S. officials said late Tuesday that Trump will recognize Jerusalem as Israel's capital, despite intense Arab, Muslim and European opposition to a move that would upend decades of U.S. policy and risk potentially violent protests. Moving the embassy will be a longer process. 'This will be a matter of some years. It won't be immediate, it won't be months, it won't be quick,' a senior administration official said Tuesday night. Israel's prime minister, Benjamin Netanyahu, said on Facebook that 'Our historical national identity is receiving important expressions every day.' He said he would comment further later in the day. 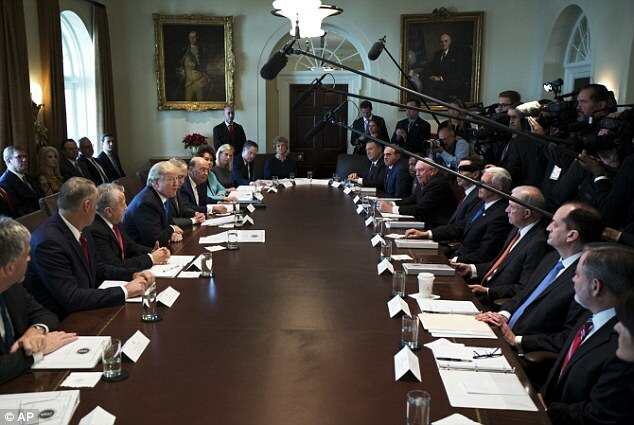 Other members of his Cabinet were more forthcoming. Education Minister Naftali Bennett, head of the nationalist Jewish Home party, praised what he called Trump's 'bold and yet natural' move. 'The sooner the Arab world recognizes Jerusalem as our capital, the sooner we will reach real peace. 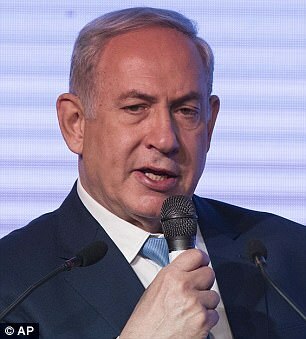 Real peace that is not predicated on an illusion that we are going to carve up Jerusalem and carve up Israel,' Bennett told The Associated Press on the sidelines of the Jerusalem Post Diplomatic Conference. The Family Research Council, an American evangelical Christian group, was enthusiastic. 'America's foreign policy, as it pertains to Israel, is coming into alignment with this biblical truth: Jerusalem is the eternal and indivisible capital of the Jewish state,' the group's president Tony Perkins said. International leaders, however, swiftly criticized Trump's plan. 'All parties should do more for the peace and tranquility of the region, behave cautiously, and avoid impacting the foundation for resolving the long-standing Palestine issue and initiating new hostility in the region,' Geng said. Britain's Foreign Minister, Boris Johnson, who had already expressed concern about the U.S. decision, on Wednesday said it was now time for the Americans to present their peace plan for the region. 'Jerusalem obviously should be part of the final settlement between the Israelis and the Palestinians - a negotiated settlement that we want to see,' Johnson said. In Brussels Secretary of State Rex Tillerson tried to dampen down the reaction. 'The president is very committed to the Middle East peace process,' Tillerson told reporters at a meeting of NATO foreign ministers in Brussels. He said a small team led by Trump's son-in-law and senior adviser Jared Kushner - a 36-year-old former property developer - has been 'engaged in a quiet way' in the region to try to revive peace talks between Israel and the Palestinians. 'We continue to believe there is a very good opportunity for peace to be achieved and the president has a team that is devoted to that entirely,' Tillerson said. Trump's Mideast team have spent months meeting with Israeli, Palestinian and Arab leaders. Details of their long awaited plan remain a mystery. 'Clearly this is a decision that makes it more important than ever that the long-awaited American proposals on the Middle East peace process are now brought forward,' Johnson told reporters in Brussels. BUILD AN EMBASSY? WHY NOT HANG A NEW SIGN INSTEAD? Any building where an American ambassador has his or her residence and regular office is technically an embassy. It's like the concept of Air Force One, which is not a specific aircraft: Any plane the President of the United States rides on, even if it's a single-engine crop-duster, is technically Air Force One. 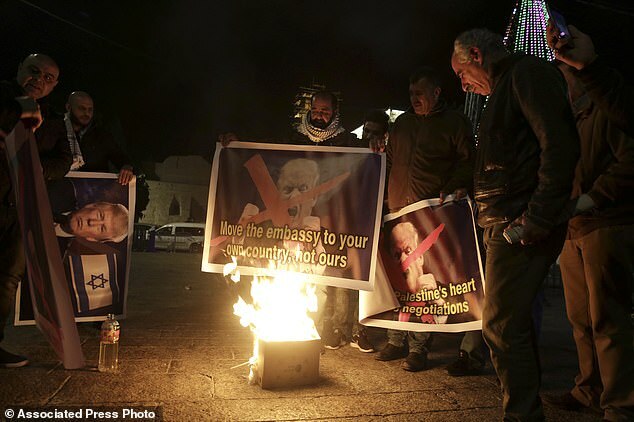 The U.S. already has a consulate in Jerusalem, meaning that a new sign on the door and new accommodations for Ambassador David Friedman would technically acomplish what President Trump wants. But the White House says it will go through a years-long process instead, not moving Friedman and his staff until Congress funds and the State Department builds a brand new facility. 'We don't just put a plaque on a door and open a mission,' a senior administration official said Tuesday evening. In January former U.S. 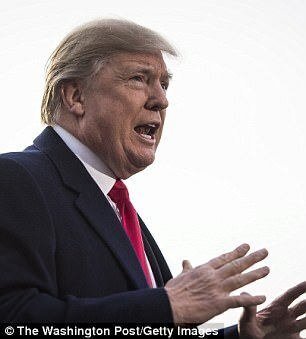 Ambassador to the United nations John Bolton told DailyMail.com that the State Department could – and should – take the quicker route. 'Do it and announce you just did it,' said Huckabee. The officials, speaking on condition of anonymity pending Trump's announcement, said the decision was merely an acknowledgment of 'historical and current reality' rather than a political statement and said the city's physical and political borders will not be compromised. They noted that almost all of Israel's government agencies and parliament are in Jerusalem, rather than Tel Aviv, where the U.S. and other countries maintain embassies. Still, the declaration of Jerusalem as Israel's capital carries deep symbolic significance and could have dangerous consequences. The competing claims to east Jerusalem, the section of the city captured by Israel in 1967, have frequently boiled over into deadly violence over the years. East Jerusalem is home to the city's most sensitive Jewish, Muslim and Christian holy sites, as well as its 330,000 Palestinian residents. The United States has never endorsed the Jewish state's claim of sovereignty over any part of Jerusalem and has insisted its status be resolved through Israeli-Palestinian negotiation. 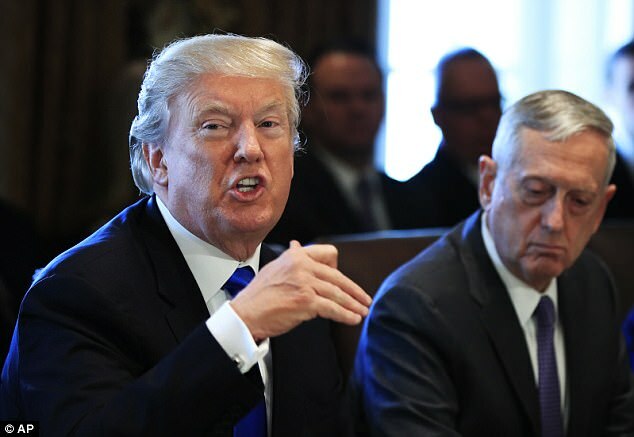 Key national security advisers – including Secretary of State Rex Tillerson and Defense Secretary Jim Mattis – have urged caution, according to the officials, who said Trump has been receptive to some of their concerns. Jerusalem has been a contested site for centuries, and today three major world religions – Judaism, Islam and Christianity – lay claim to various holy sites and monuments there - all of them on the Temple Mount. The crux is that Jews see the West Wall as their holiest site as this is all that remains of the Jewish temple after its destruction by the Romans; Christians see the Church of the Holy Sepulchre as their holiest site because it was where Christ rose from the dead; and Muslims see the Dome of the Rock as their holiest site because the Prophet Muhammad began his journey to heaven there. The importance of each has echoed down history. Medieval maps put Jerusalem in the center of the world, the Crusades tried to capture the city for Christians and the holy sites changed hands repeatedly in the Middle Ages. 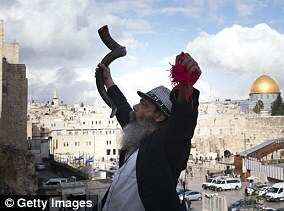 By the 1800s Jerusalem had a population of just 8,000 people and was a backwater in the Ottoman Empire but that was to change rapidly as colonial powers fought over the Middle East, Christian revivalists moved into the city and Zionism became a significant political movement among the world's Jews. The collapse of the Ottoman Empire left Britain in charge of the heterogeneous city and its growing New Jerusalem as settlement spread beyond the city walls. Jewish immigration boomed and tensions grew, with a pogrom in 1920, then growing attacks from Zionist groups on British forces. It was to presage a bloody aftermath of World War II as Jewish militias steppes up attacks on the British. But the immediate roots of Trump's dramatic announcement lie in the messy history of the Middle East after World War II. The U.N. plan which set up separate Jewish and Israeli states in what had been British-controlled Palestine in 947 said Jerusalem was to be a 'separated body' administered by the United Nations. The State of Israel was declared in 1948 and over the next year recognized by countries including the U.S. - but crucially on the basis of the U.N. plan, meaning Jerusalem could not be the capital. Conflict which rolled into 1949 ended in an armistice which left Israel controlling the west of the city and Jordan the east, and Israel's president called the city Israel's 'eternal capital'. But the world largely did not follow. The U.S., which wanted a negotiated settlement to replace the armistice of 1949, built its embassy in Tel Aviv, and most other countries followed. 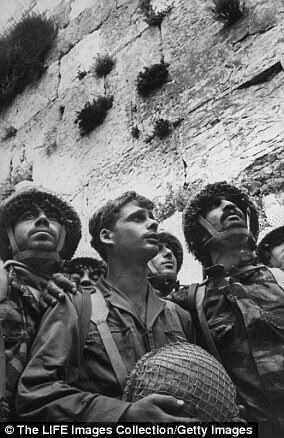 The situation was upended in 1967 when the Six Day War's spectacular victories gave Israel control of Jerusalem and the West Bank. That ushered in a new era for Israel, which took control of East Jerusalem and made it separate legally from the West Bank, and over the years repeatedly rejecting the 1947 U.N. position of the city's special status. 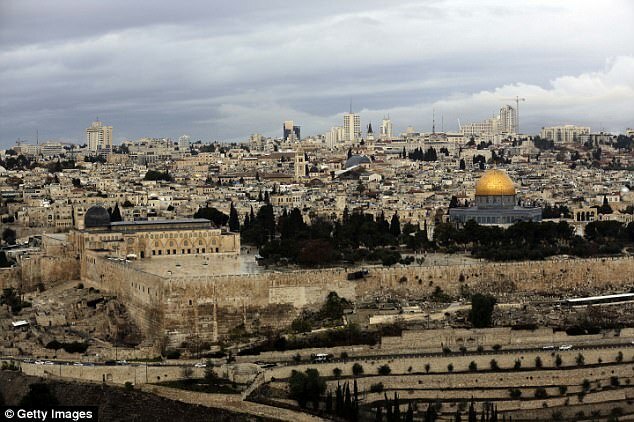 Repeated efforts to settle the issue have involved the final status of Jerusalem being part of the negotiations towards a deal. 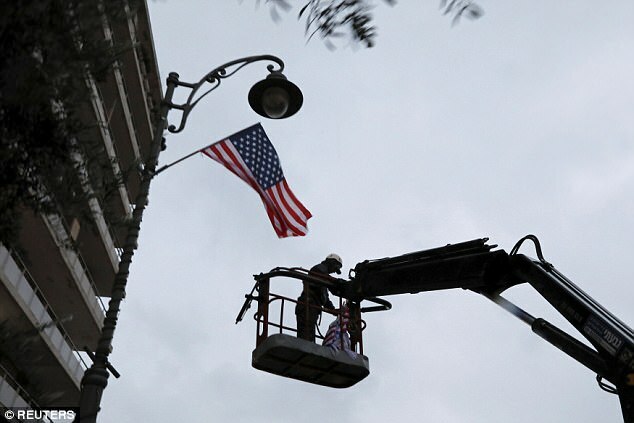 The U.S., which has been in support of the major past efforts, kept its embassy in Tel Aviv as a result, and other major countries did the same. Tel Aviv is the undoubted economic capital of Israel but the country's parliament and president are in Jerusalem and diplomats have to go there to be officially recognized and for many meetings with the country's government. A handful of smaller countries have from time to time recognized Jerusalem as capital and even had embassies there, but no major country has until now made that declaration. In Israel and Palestine both sides appear determined to have Jerusalem as their capital and no peace plan has ever got far enough to test whether potential compromises which have been offered - such as an international trust administering the holy sites, and the creation of a Palestinian capital in the suburbs - would actually happen. Currently the city is roughly two-thirds Jewish and one third Muslim, and the historic Christian community makes up just two per cent of the population. Trump has spoken of his desire to broker a 'deal of the century' that would end Israeli-Palestinian conflict. U.S. officials, along with an outside adviser to the administration, said the president's speech was not aimed at resolving the conflict over Jerusalem. He isn't planning to use the phrase 'undivided capital,' according to the officials. Such terminology is favored by Israeli officials and would imply Israel's sovereignty over east Jerusalem. One official also said Trump would insist that issues of sovereignty and borders must be negotiated by Israel and the Palestinians. The official said Trump would call for Jordan to maintain its role as the legal guardian of Jerusalem's Muslim holy places, and reflect Israel and Palestinian wishes for a two-state peace solution. Elsewhere, however, reactions were skeptical, especially across the Muslim world. Turkish Foreign Minister Mevlut Cavusoglu said the 'whole world is against' Trump's move, and the supreme leader of Iran, Israel's staunchest enemy, condemned Trump. 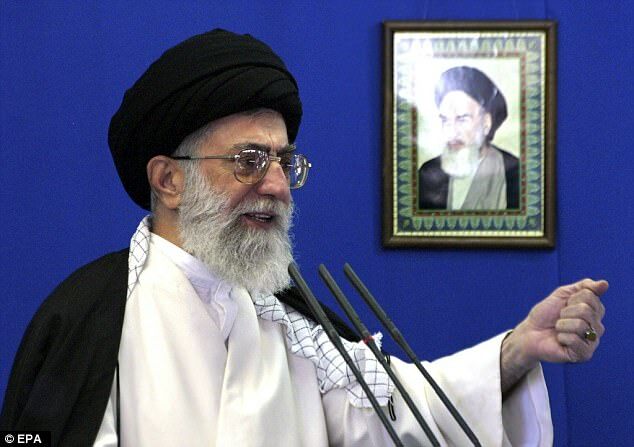 That they claim they want to announce Quds as the capital of occupied Palestine is because of their incompetence and failure,' Khamenei said, using the Arabic name for Jerusalem.